"I Love Bacon". Now there's a proclamation we can all agree on. 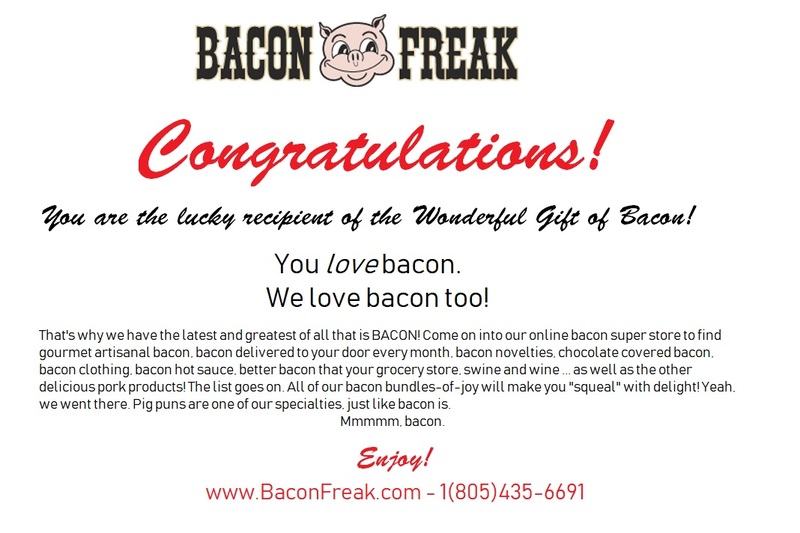 Hang this metal sign in your home or office and show the world how much you love bacon. Metal sign measures 8.25" x 11.5". When life lets ya down, you can always count on bacon. Trust bacon to always brighten up your day. Hang this plastic sign in your car and show the world how much you love bacon. Car sign measures 6.25" x 6.25". This package comes complete with a nifty little string, allowing you to hang this funny car air freshener. Each one of these bacon air fresheners measures about 4" (10.2 cm).